GoPro is set to announce the results of its holiday quarter after the bell tonight, thursday 5th, 2015. What can we expect from the action-camera maker this time? GoPro peaked at $98,47 in September last year and have been falling since the correction. Just like Twitter. The stock is down 46,6% and about 14 million shares were shorted as of Jan 15. Citi has cut its GoPro target to $59 from $94. The stock is trading at $52,56 right now. Shorters have flocked to the equity with about 29% of GoPro`s float sold short. Also two-thirds of covering analysts rate the stock a «hold» or worse. 12-month price target consensus is $79. That`s 54,1% premium to current trading levels. GoPro equities is down, recently hit by Apple`s new action-camera patent. Despite the negative cuts and short interests right now, the success of GoPro`s hardware business remains robust. Last quarter GoPro came in with an earnings per share of $0,69. A growth of about 55%. Consensus from the Wall Street for earnings and revenue is $0,70 per share and $580,3 million. The stock jumped 13% last time when they released a stong guidance for fourth quarter sales of $550 to $580 million. I wrote about GoPro before their IPO last summer, and when they went public they said that GoPro is a «media» company. What? A media company? Yes, they said so, but I don`t think they are there yet. They do not have any income from that segment, but I am exited about their new report. I will look for some news on this case. No doubt that YouTube will help the user engagement. So will partnership with NHL, a GoPro channel on Virgin America in-flight entertainment, and channels like LG smart TV`s and Xbox platform. All of they will contribute. GoPro is developing new consumer drones and this is probably here their R&D is spent? They have doubled their R&D to $42,4 million. The drone market is growing and sales in this market is expected to double to $11,5 billion in the next decade, and that can boost the GoPro shares. 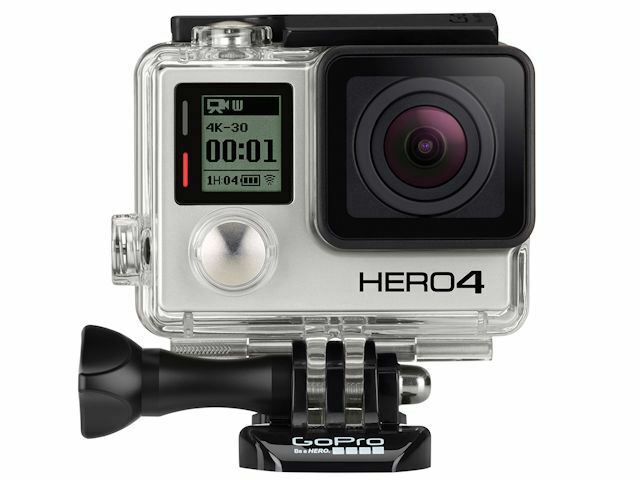 GoPro shouldn`t be afraid of Apple right now. Apple want to reach out to the mainstream market with they products, and those action-camera`s is not there now. Nor GoPro is there right now. Maybe those action-camera`s will never be a mainstream product? I think the reason for that is many, but price can be one of them. Spending thousands on this action-camera is probably not something for the average consumer and so far it seems like this is mainly something for the pro athletes and other extreme-sports enthusiasts. One of the most shorted stocks will reports earnings after the bell tonight. Any surprise tonight?